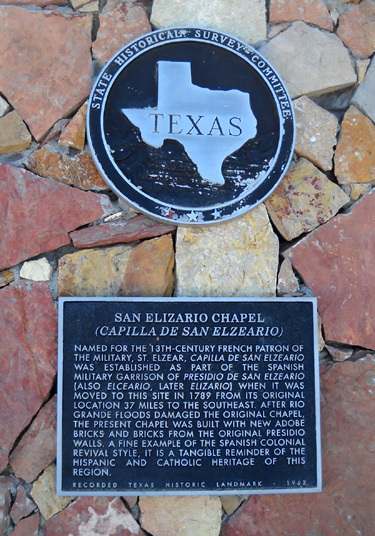 and Chapel San Elizario are strung along the banks of the famed Rio Grande River." 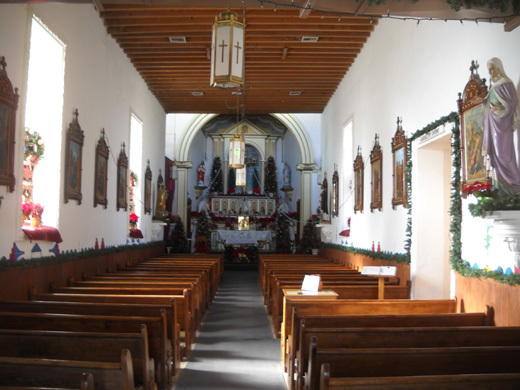 El Paso's lower Rio Grande valley is home to several graceful Spanish missions that are older than some better-known missions in Texas and California. They are an important part of the history of El Paso and illustrate the substantial influence of Spanish missionaries in the region. Over the centuries these missions attracted settlers and became centers of towns and farming/ranching communities. They still are. Although two of the three I saw are open daily for visitors, each is still used for religious services. According to the El Paso Convention and Visitors Bureau and the AAA Texas Tour Book, whose information I'm using in this entry, three of these missions are now on the National Register of Historic Places: Missions Ysleta and Socorro and Chapel San Elizario. They are situated within a few miles of each other along the former banks of the mighty Rio Grande. There are at least two ways to view the historic Spanish missions -- an organized half-day tour aboard a trolley that departs from the Civic Center, or a self-guided drive in your own vehicle. The directions to the missions are easy to follow; Jim wasn't as interested in seeing them as I was, so one afternoon I took off alone in the truck and followed a map along the Mission Trail without getting lost. As already mentioned, I felt like a foreigner in my own country -- but that enhanced the experience and I didn't even need a passport! Here are brief descriptions of the three missions I visited. If you'd like more information on any of them, just do an internet search. Mission Ysleta has been known by several names throughout its history. Tigua and Piro Indian and Spanish refugees from the Pueblo Revolt of 1680 fled northern New Mexico, settled in this area on the south bank of the Rio Grande River, and built temporary living quarters. 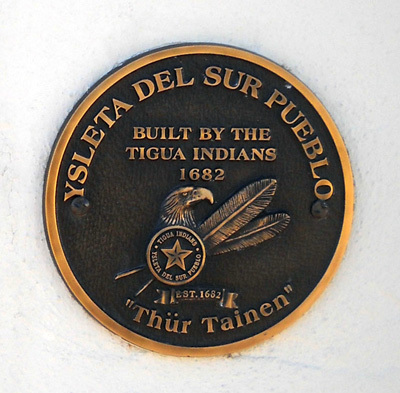 A permanent Tigua settlement was established in 1682 and is considered to be the oldest settlement in Texas. The Spanish named it Corpus Christi de la Isleta del Sur. 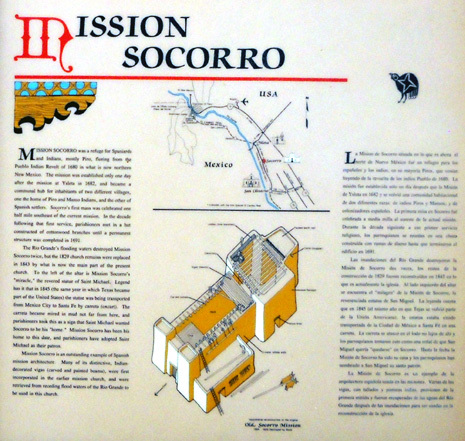 A pueblo mission was built on the south side of the Rio Grande in 1691. 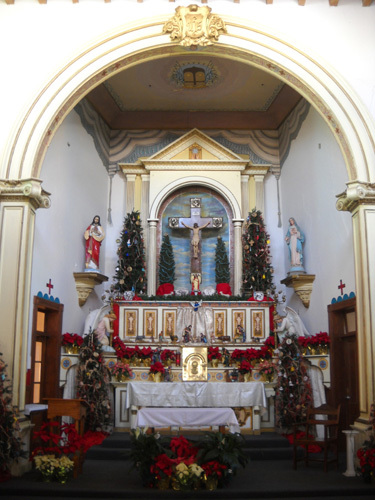 It was washed away by flood waters about fifty years later, rebuilt in the same location, and renamed San Antonio de la Ysleta for Saint Anthony, the patron saint of the Tiguas. When Mexico won its independence from Spain in 1821 the mission and settlement became part of Mexico -- it was on the south side of the Rio Grande, remember. Another major flood in 1829 created a new channel south of the old one, forming an island of sorts. The mission was on this island, which was still considered Mexican territory. It was south of the old channel but north of the new one. Guess what happened again in 1844? Yep, the mission became the victim of yet another flood. Only the foundation remained. What's more interesting to me, however, is that this island -- and everything that was on it -- became a part of Texas in 1848 after the U.S. won its war with Mexico! If the river hadn't re-channeled itself, this mission and the ones below would probably still be on the Mexican side of the Rio Grande. The Ysleta mission was finally relocated to higher ground (!) and rebuilt in 1851. This is mostly the structure seen in these photos. The silver bell tower was added in the 1880s when the mission was placed under Jesuit administration and renamed Our Lady of Mount Carmel. 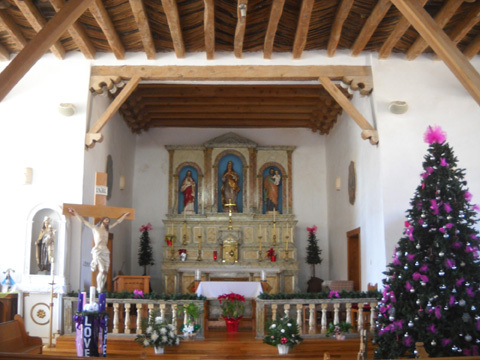 The Tiguas, who live on an adjacent reservation, still refer to it as Mission de San Antonio in deference to their patron saint. 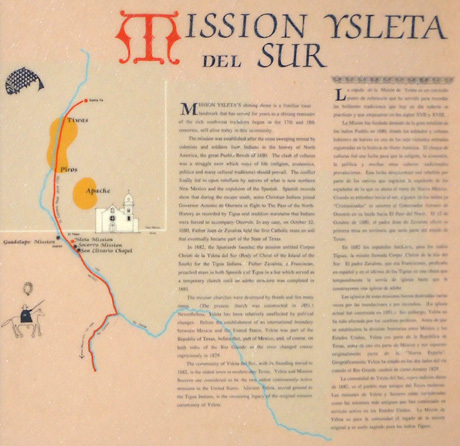 In guidebooks it's abbreviated to Mission Ysleta. By the way, that last flood wasn't the last disaster this mission has experienced. In 1907 a fire destroyed its roof and bell tower. According to the Chamber of Commerce's mission guide, "The silver dome roof of the bell tower reflects the tradition and continuity of Mission Ysleta after three centuries of natural disasters." 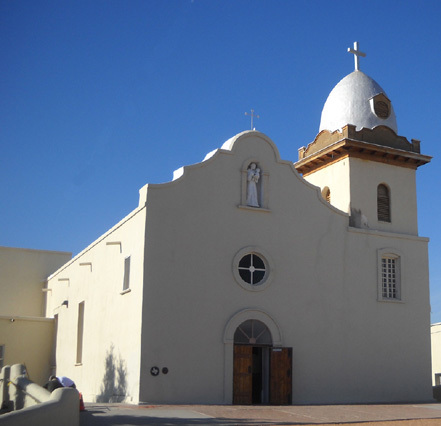 Near Mission Ysleta is the historic Camino Real ("Royal Highway)," which was once used by Spanish settlers to connect Ysleta and two other Rio Grande Valley missions -- La Purisma Socorro and San Elizario. This is the Mission Trail I followed. Continuing about three miles southeast on the Mission Trail you'll come to another historic mission that also ended up on the Texas side of the Rio Grande when the river's course changed: Mission Socorro, originally known as Mission Nuestra Se�ora de la Concepci�n del Socorro when it was established in 1682 for the Piro, Thano, and Jemes Indians. 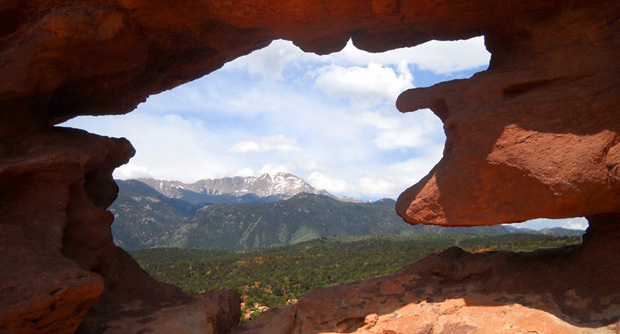 The first adobe structure that was built in 1691 was washed away by floods in the 1740s. Its replacement was also destroyed by a flood in the 1800s. The main part of the present structure was built in 1843; the bell tower and an expansion were added by 1873. 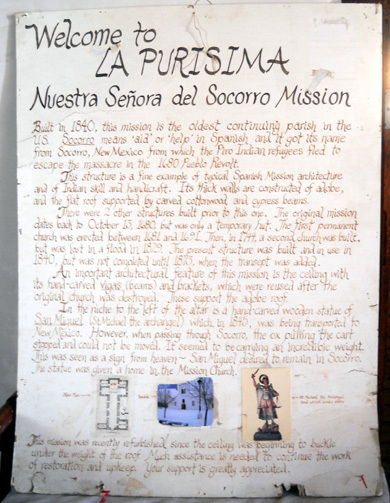 Mission Socorro was administered by the Franciscans until 1852 when the church was placed under secular authority. Since 1872 it has been administered by the Jesuit Order. of the mission, points out interior features, and discusses current restoration efforts. 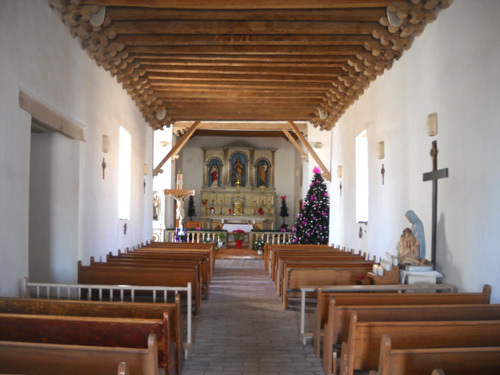 Mission Socorro's interior is a little simpler than that of Mission Ysleta. Archeological excavations near the present structure have uncovered what is believed to be the foundation of the original 1691structure. I didn't see that. 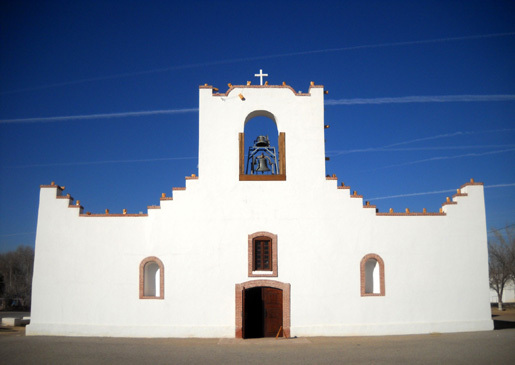 Presidio San Elizario was established in the mid-1770s as a Spanish military garrison to protect the Camino Real and the missions and settlements along its trail. 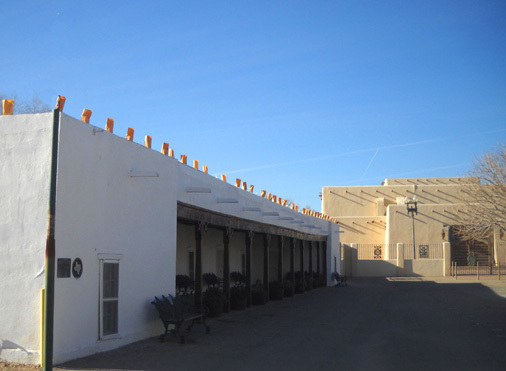 The fort was moved to its current site near Mission Socorro in 1789 and the village that grew up around it was named San Elizario. The original chapel built here was another victim of one of those massive floods. 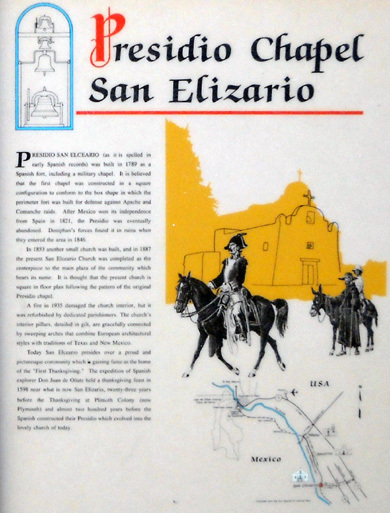 After the war between the U.S. and Mexico (1846-8) the village of San Elizario also became a part of the U.S. -- it was located on that same island created by the rechanneled river. For a while it served as the country seat of El Paso. A small adobe chapel was built in 1853. When the parishioners outgrew it, the present church was built in the main plaza in 1877. 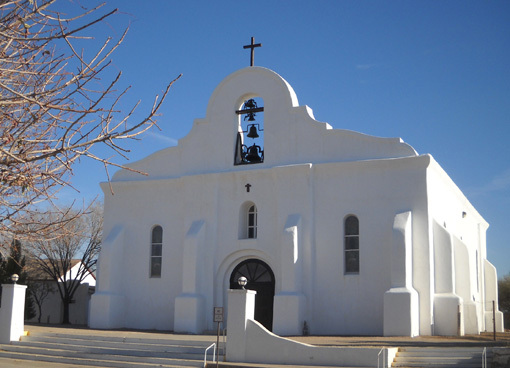 This chapel is considered to be an outstanding example of late adobe church architecture of the West Texas and New Mexico tradition. It also reflects the influence of European architectural styles and is referred to as Spanish Colonial Revival Style . I wasn't able to tour the inside of the chapel. The original interior was destroyed by fire in 1935; the present interior dates from 1944. It is described as having interior pillars, detailed in gilt, that are gracefully connected by arches sweeping to a painted tin ceiling. 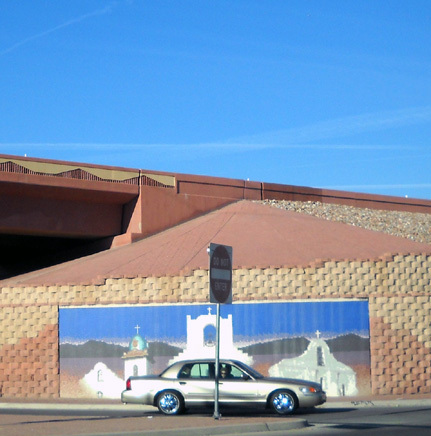 The structure on the left is the Los Portales Museum and Information Center. It was built in the mid-1850s by a local rancher named Garcia for his family residence. Built in the Territorial Style, it features milled wood detailing and a distinctive inset gallery (portal), which gave it the name Los Portales. In the 1870s it was converted into a schoolhouse. If you enjoy viewing old architecture as much as I do, I encourage you to drive to these missions or take a formal tour. The self-guided tour is easy to drive and takes only one or two hours, depending on how long you are inside each of the missions. I remember visiting several missions in the San Antonio area that took longer because there were more buildings on the grounds to see. These appeared to be one-sies.